For further enquiries please feel free to ring Eleanor at +65(6482-8266) for a no-obligation consultation. hi there! Could you kindly quote us for similar wedding package?? Thank you! Hi Anne, will you mind leaving me your email address so that i can revert back to you? Cheers! hear from you soon. hi! can i please get a quote for about 300-400pax? my email is katoyok@hotmail.com thanks! Hi Can quote me a package for 80 pax for end 2011? Hi, i’d like a quotation for a package of a similar arrangement. 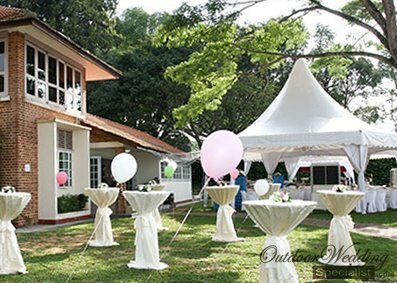 Hi, I’ll like a quotation for an outdoor wedding at Changi Cottage for 250 – 300 pax November 2012. Thanks. 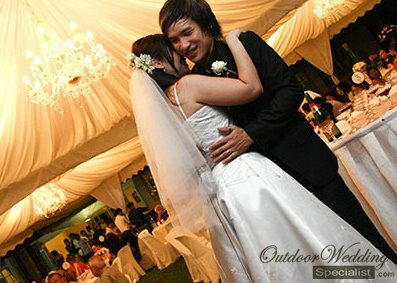 Hi, I would like a quotation to have a outdoor Indian wedding at changi cottage for 300 – 350 pax in Sep 2012 Thanks. could you e-mail me an quotation for the pax of 100-300 pax. For the year 2012. Is there any difference for solomization event or wedding event..
Hi, can you also give me the details for this wedding package? Deco, per pax, food catering and other charges that needs to be considered. Thanks! 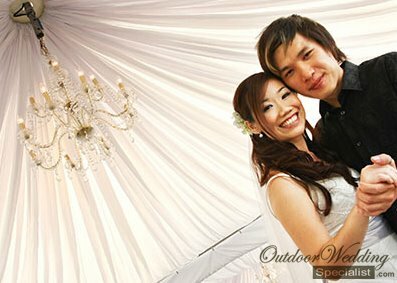 I will like to held our solemnization event at changi cottage on nov 2011.
my fiancé and me are looking to have our solemnization at Changi Cottage. Could you give a some quotations for 100-150 pax? And I also read that we are actually not allowed to use the chalets for solemnizaions. So just for my knowledge, in your experience organizing weddings there, how do we get around it? My Fiance and I are looking to have our solemnization at Changi Cottage on 16th Feb 2013. Could you give a some quotations for 40-50pax? I have replied via email to you. Can you kindly send a quote for a Solemnization at Burkill hall for about 250 pax? The pictures look lovely and the wedding looks fabulous. Can you coat me the price if it was to accommodate 30 tables. I have my own catering. Only need decoration and marquee. Thank you! Hi, I would like to enquire about solemnization package at Aloha Changi on 30 Dec 2012. Guest number: 80 – 100. Can i have the quotation regarding the items and costs involved thanks. As written on the website, Aloha Changi do not allowed the use of their chalets for solemnization. So how do you go about arranging solemnization at Aloha Changi? Hi! I am planning for my wedding in 2013 and we are looking at a similar wedding above, could you please kindly provide me with a quote. Thanks! Hi, I need a quotation for about 150 pax at aloha loyang or changi cottge for solemnization and package lunch buffet. thanks! 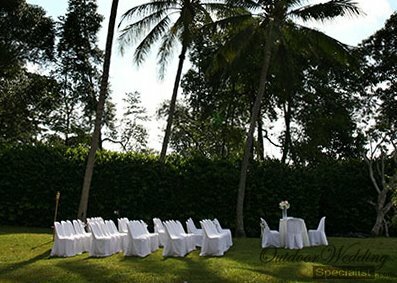 Hi there, I am interested to hv a wedding at Changi Cottage in Jan’14 for about 400 pax. Long way to go but Im avidly looking for outdoor wedding venues. How much would it be for just decor? I would like to engage with my own caterer would it be ok for Aloha’s regulation?